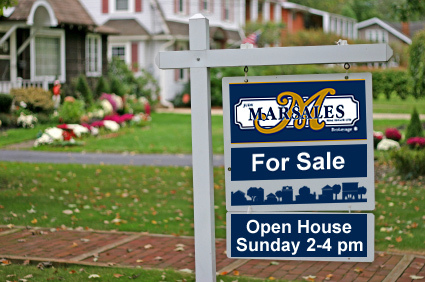 Market Trends | Judy Marsales Real Estate Brokerage Ltd. There was an interesting article written recently that suggested despite one of the strongest economic business climates, people are uneasy. Our real estate market is reflecting some of this nervous energy. Selling your home – make sure you have a well documented evaluation of your home including up to date information. Is your range of value competitive in the current market place and not relying on prices attained last year? Can you identify unique features of your home and property which would attract today’s buyers? Is your home clean and decluttered? Discuss a sound marketing plan, forget all the hype and concentrate on the practical. Understand the various conditions which may be in an offer. Are you purchasing another property? What are the financial considerations in a more volatile market? You want to adjust your timelines in a Buyers market. Homes will be on the market for a longer time period and there are rarely competitive offers or bidding wars. Buying a home – decide on an area of the city which you would enjoy living in and is practical for your needs. Do you have children who will be going to school, parks and recreation activities? Do you commute? Where is the GO station or highway access? If you cycle, where are the safe bicycle opportunities? Have you spoken to a variety of financial institutions to have an up to date budget parameter? Have you spoken to a lawyer to establish a readily accessible support system? Have you reviewed all the statistical data to establish your evaluation of a home before you make an offer? Are you knowledgeable about negotiating in this changed market? Understand important clauses and time lines for safe financial decisions. Clearly, with all the changes and challenges of the current market, a consumer would be well advised to work with a professional real estate sales representative who has all the data and supporting information to enable the best possible decision. Markets are always changing but recently, changes have been more sudden and require more knowledge and understanding. We are proud of our local knowledge and of all the parameters of good real estate decision making. We are fortunate to have three offices full of hard working knowledgeable people with a wide foundation of knowledge. Please call us, text us, or email us, whichever form of communication works best for you for the latest statistical data. Tips and Advice for the those interested in or involved in the purchase or sale of real estate.